Snapchat has become a highly popular social media channel, with a number of Snap-famous fitness figures dominating the platform. 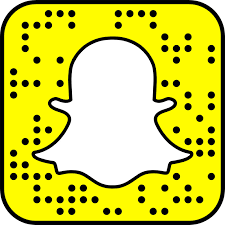 Snapchat is one of the fastest growing forms of social media with 100 million daily users and 400 million new snaps added a day. This is a platform that if your not already harnessing to help you build, grow and develop your brand… you should be! So what is Snapchat all about? Well it is all about building and sharing your story! This is done through the sharing of short video or still images that can be edited within the application. Simple text can overlay the video, or a geofilter can be used. These filters are a very interesting feature with specialist filters being available dependent on your geographical location. But one of the key things is the use of lens, these can provide hours of fun! The application has the ability to detect your face and then essentially add a mask. These change on a regular basis many being themed to world events. Your life – your life is often of interest to your existing or potential clients. They like to know what you eat, how you train, and the fun fitness related things that you get up to! Events – if your attending any events that might be o interest to your clients you can make a simple video showcasing what you have seen or what you have done at the event. The app makes this easy to do as you can add short video or photos to your story. Workouts – you could do a daily workout video. These can be a fun way to not only give your existing clients some great content but also engage with a wider audience and help to build your brand. This can be such an easy thing to add to our social by just filming elements of your own workout. Client results – Showcasing client results not only allows you to prove to the world the effectiveness of your training methods but also gives clients a motivational boost. These will often be shared far and wide by the clients network, this can be a great for of lead generation. One key note to bear in mind is that clients have a right to privacy, it is advisable to add into your terms and conditions the fact that you use social media and may use images of training sessions for promotional reasons. It is also good practice to ensure that clients are happy with any video or image they are included in. 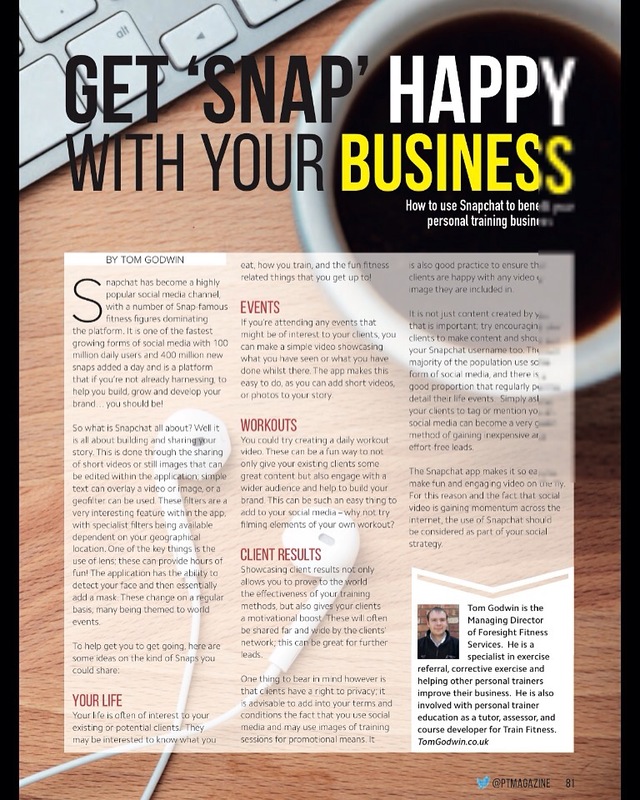 It is not just content created by you that is important, but by encouraging your clients to make content and shout out your Snap ID. The vast majority of the population use some form of social media, and there is a good proportion who regularly post to detail their life events. By simply asking your clients to tag/mention you on social media this can become a very good method of gaining inexpensive and effort free leads. The Snapchat app makes it so easy to make fun and engaging video on the fly. For this reason and the fact that social video is gaining momentum across the internet, the use of Snapchat should be considered as part of your social strategy.